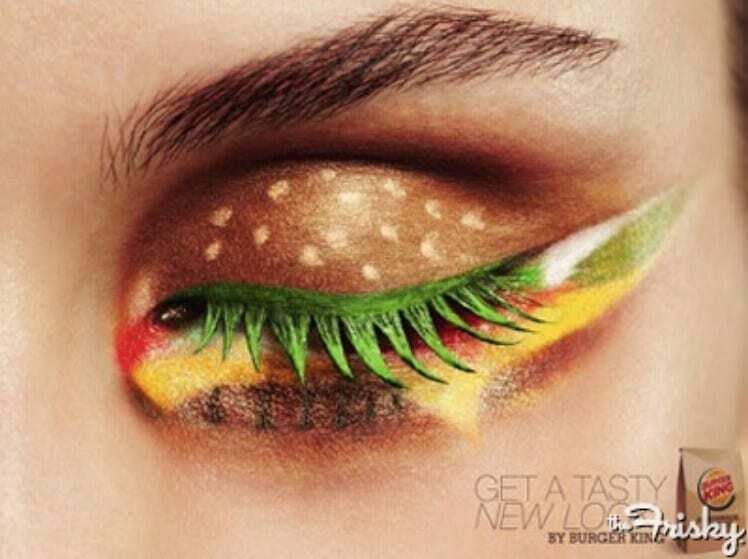 Check out this hamburger eyeshadow look from a Burger King ad that ran in the Netherlands. Is it just me or is it … kinda pretty? I love the brown shade of the bun and those bright green eyelashes. Totally hoping this becomes a spring beauty trend.